My objective of applying funds through Hubbub is to set up a teaching centre specialising in the English language. But there is a big difference in my teaching centre - I will employ the Structural Approach to teach English. Much of my experience is in training adults to understand and apply basic English skills for their career advancement in Malaysia. I have been in the training field since 2000. The Structural Approach to teach and learn English was widely used prior to 1960 in English-speaking countries. Its efficacy has been proven by the generation who mastered the rudiments of English with less difficulty. As a result, this generation proceeded to make an impact in the respective fields of endeavour. All this was only possible with the help of the tool of expression, the English language. Mastery of the English language through the Structural Approach enabled them to convey to the world their ideas and ground-breaking research flawlessly. It is not enough for people to be possessed with inquiring minds. The power to express their convictions makes a difference too. As an English Trainer who has been training working adults in Malaysia since 2000, I understand the weaknesses of most Malaysians in learning the English language for career advancement. Therefore, I find it worthwhile to set up a teaching centre delivering English language programmes using the Structural Approach to the Malaysian masses. The Structural Approach was successfully used in Malaysia before 1970. 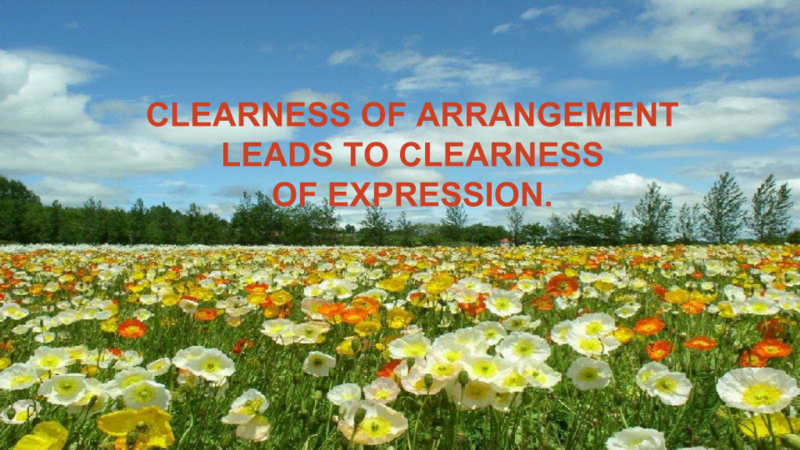 Its effectiveness in delivering the desired results has been proven in that era. Consequently, it will definitely work in the same environment (Malaysia) and its population at the present time. The funds will allow me to set aside the rental of an office space big enough for forty participants, purchase of tables and chairs as well as other required equipment for one whole year. I am targeting one whole year for this business set up to yield the necessary results in terms of increased earning power and increased number of learners at these three levels – not only the student population (primary and secondary) but also the working-class segment. The programmes offered will be from the basic to the most advanced. The initial three or four months will be trying but I am banking on the word-of-mouth as the best form of marketing my centre by the learners to the rest of the masses. Satisfied learners will naturally translate into salespeople or promoters of my English teaching centre. 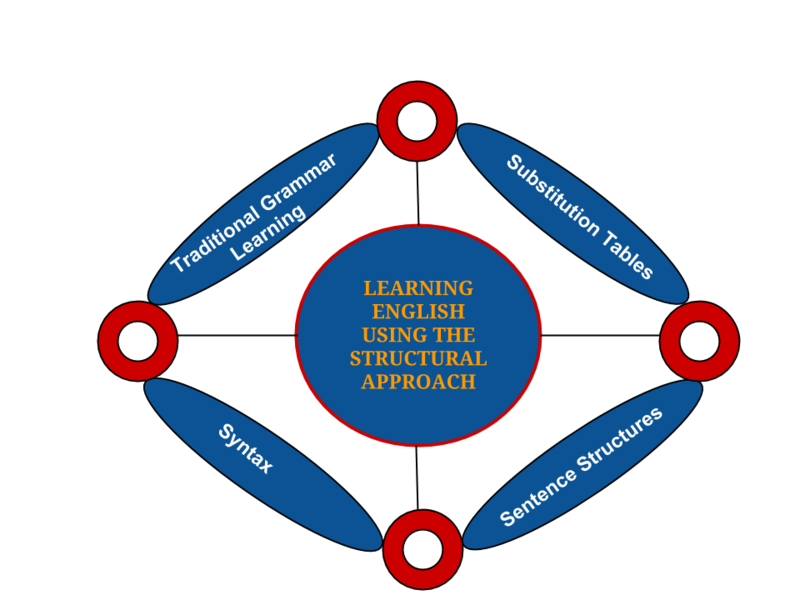 The Structural Approach employs traditional grammar learning, substitution tables, syntax and sentence structures which form the foundation of true English learning. Syntax is the arrangement of words in a sentence. We learn how to write English sentences correctly when we have truly known the role of the words in sentences by mastering the eight parts of speech. Without a thorough knowledge of the eight parts of speech, one's grasp of the English language will be superficial. In addition, grammar should be an aid to composition. Independent learning of English grammar in its entirety is a purely mechanical exercise. If the learning of grammar does not equip a learner with the necessary knowledge and skill to write sentences clearly and correctly, it is an exercise in futility. The Structural Approach helps a learner to master English grammar which will aid him to acquire facility and ease in writing correct sentences. The study of different sentence structures enables a learner to add variety and freshness in his writing. It also improves his spoken English at the same time. Substitution Tables place an important part that phrase-patterns and sentence-patterns must conform to correct English usage. Thus, the study of grammar, syntax, sentence structures along with vocabulary is complemented by the use of correct constructions listed in the Substitution Tables. In order to enhance the spoken English ability of my students, I use substitution tables. Since we speak and write in sentence-patterns, it is only appropriate to introduce these patterns into my English training via substitution tables. The learner is able to gain a facility of using English by practising these tables habitually. While practising these tables, the sentence patterns are subconsciously adopted by the student who in turn will demonstrate by speaking correct English in everyday situations. They may not be transformed into Winston Churchills overnight but the foundation necessary for the attainment of good English speech will be laid. Hence, grammar study is given a lot of prominence in the Structural Approach so as to improve one’s transmission skills – speaking and writing. Kill two birds with one stone. The Structural Approach covers rigidly the study of English and its grammar as tools that enable a foreigner to attain the same proficiency and usage as that of a native English speaker in his country. After the necessary building-blocks to understand and apply English have been mastered, the foreigner is introduced to much higher work which he takes on easily as the basic rudiments have been thoroughly practised. Confidence in using the language in work and social environments becomes a stepping stone for the foreigner to achieve even more in later life. Although there are many approaches to teach and learn English in the world today, their effectiveness in delivering the necessary results in the form of competency in all the four skills of a language for a learner is very much disputable. The Structural Approach to teach and learn English, on the other hand, equips a learner in all the four skills of the language - listening, reading, speaking and writing - thoroughly, thereby empowering the learner to achieve the most in his future career. The effectiveness of the Structural Approach has been proven in the past when it was widely used in English-speaking nations and also in the British colonies. Social Thank You. A personal thank you on my Facebook page. 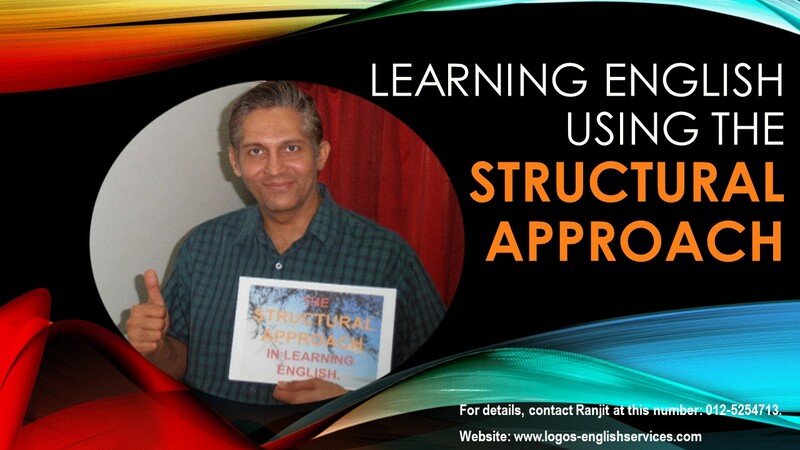 Your name to be featured in my soon to be published book on "LEARNING ENGLISH USING THE STRUCTURAL APPROACH: BASIC". 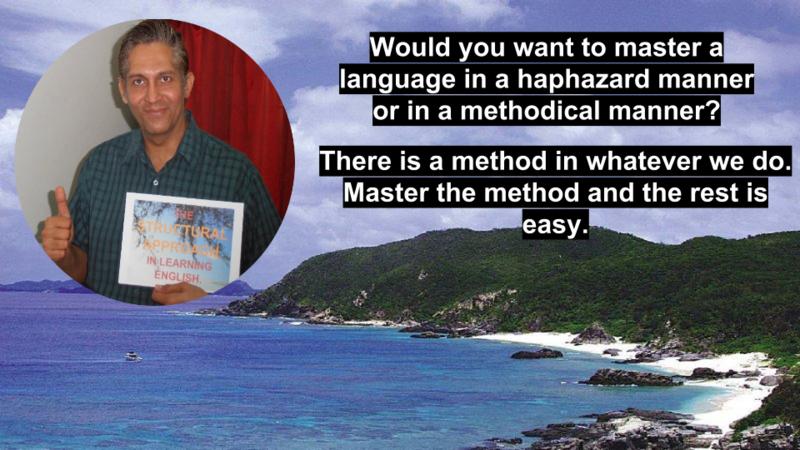 You will be given a sample of NOTES on my teaching English using the Structural Approach. As a show of appreciation, your name will be prominently displayed on a board at the entrance of my English teaching centre.